Time management is important; it allows you to get the things that you need to do, completed. It can help you live a more managed life and actually complete more things than you could imagine, just by organizing your time appropriately. 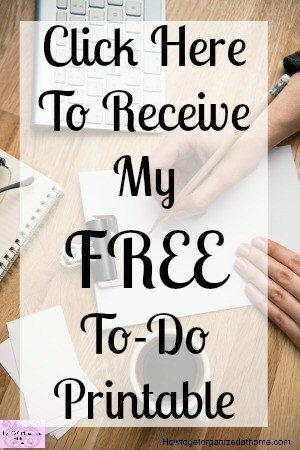 If you are easily distracted, then having strategies that can help you fight the urge to spend time on social media and actually get the tasks you need to do completed, saving you time in the long-term. It can actually free up more time and you might be able to have more time for the things you enjoy rather than the things you need to do. Time management tips can save you precious time! Understanding your time management is important, it can help you achieve your goals as well as making your life less stressful. The most important area, which you need to address first is your time, knowing what time you have available will allow you to plan the tasks that you need to do more effectively. You must schedule into your day some time, which will be able to account for unplanned events. There are always challenges in the day that happen and take away time, having a buffer will allow for these times and not mean that you have to cut back other areas of your day for these unplanned events. Block distractions, this isn’t always easy but if you have tasks that you need to complete sometimes the simplest thing to get your task completed is to block distractions. Tell people you are busy; don’t answer the phone just because it rings. Stop checking your emails every time you here one popping into your inbox. If I have a task to complete, I turn off the sound on my laptop and this way I just don’t know if I have had any new emails or social media messages until after I have finished my task. The hardest time management technique to learn is to say ‘no’. If you haven’t got the time to do other tasks or have too much to do already, there is nothing wrong with saying no. Be realistic about what you can do and what you just can’t do. There are restrictions on everyone’s time and taking on too much will mean that you just can’t do your best at all the jobs, making you feel that you are not offering your best ability at the tasks you need to complete because you have taken on too much. Using a timer is great, setting it for a short burst of time and seeing how much you can complete is good, it allows you to focus on the right aspects knowing that when the timer goes off you have planned a 5-minute break or just a change in the tasks. It can really help you focus on getting as much done as possible in a set time frame. Therefore, if you are looking for time management tips, the more you can plan the more you will accomplish; don’t forget to plan into your day some spare time which will allow for those interruptions that you know will happen, thus allowing you greater control and understanding of what you can realistically do in the day. Looking for more articles on this topic? 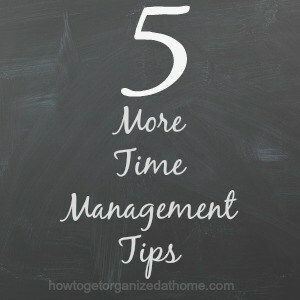 Head over to the landing page where you will find more time management tips! What are you best time management tips? I wrote another article I think you will like. 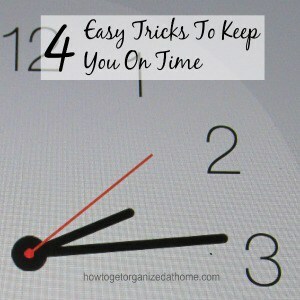 4 Easy Tricks To Keep You On Time. A timer always helps me… beat the clock and I “win” lol. I find it especially helps if I doing something that I can get carried away with (like social media or commenting on blogs). How To Get Organized At Home is a participant in the Amazon Services LLC Associates Program, an affiliate advertising program designed to provide a means for sites to earn advertising fees by advertising and linking to Howtogetorganizedathome.com (amazon.com, or endless.com, MYHABIT.com, SmallParts.com, or AmazonWireless.com).